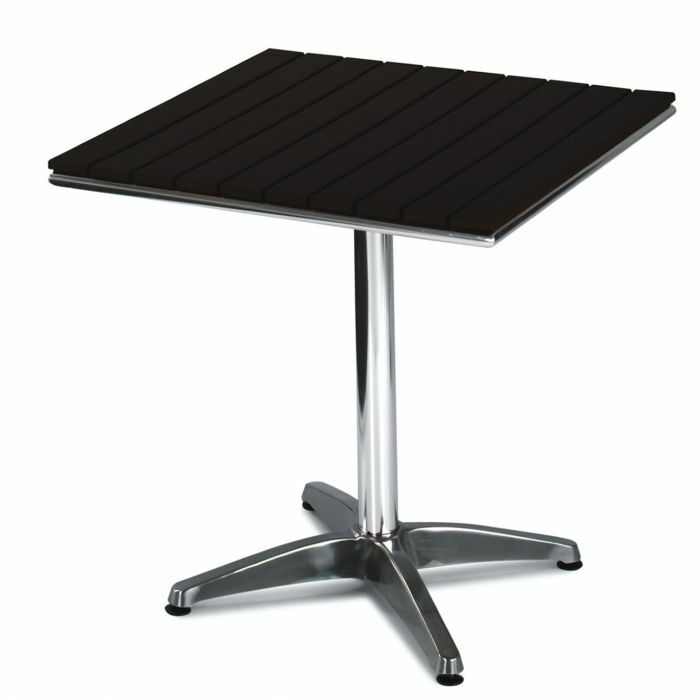 Aluminium table complete with a Black teak effect tops. Durable, wipe clean and maintenance free. Available from stock for a 2-3 day delivery. Stylish and heavy-duty square outdoor aluminium tables with a robust cross base. Includes a top of black plastic slats.